John P. Branham is a civil trial lawyer whose practice focuses on business litigation and plaintiff’s personal injury litigation. In the past, his trial practice included significant insurance defense representation and legal malpractice defense. Before joining Bone McAllester Norton, he was a founding partner of the Nashville firm of Branham & Day. 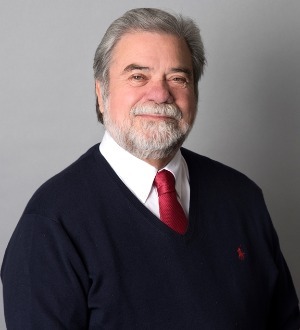 He has conducted numerous CLE programs, including for the Nashville Bar Association, the Tennessee Bar Association, the Nashville School of Law, the Tennessee Trial Lawyers Association, PESI and the National Business Institute. John says he chose his practice area because he thought that going to court was what lawyers did. “If I had known that you could really make a living doing an office or transactional practice, I might not have been inclined to take on the stress of trial work,” he says. Still, the stress paid off, as today John is one of Nashville’s most wellrespected trial lawyers. Despite his success and vast experience, John says he still gets “stage fright” every time he enters a courtroom for a contested hearing. “Each case or motion is the most important ever, and the fear of not doing a good job is palpable,” he says. On a personal level, John has four children, eight grandchildren and two large dogs. When he’s not at the office, he’s probably at his farm located south of Nashville in Bell Buckle.